First I’d like to say thank you to Ivan Ray for allowing us a to take a glimpse into his life and to visit with his wonderful family Anna Mae, Nelson Ray and Esther Sue. What a GREAT first field trip for MOBS. The turnout was fantastic with 36 in attendance including the Miller Family. We met at Ivan’s home in Jamesport, MO on July 28, 2012 and started the field trip at 10am with a walk around the home and through the gardens. Ivan had a nesting pair of Northern Flickers in his Flicker box that fledged 6 for the first time since he put the box up a few years back. As we walked to the Purple Martin colony we also spotted a Blue Grosbeak nest in one of the peach trees. The Purple Martin colony had almost all moved on but a few were still present for us to observe. Next Ivan had a surprise in store for the group. He had 2 teams of horses hitched to hay wagons ready to take us to his Bluebird trail and pond and to view the acreage he is returning back to prime wildlife habitat. While we were on our hayride, Anna Mae and Esther Sue were back at the house preparing a wonderful lunch for everyone that included homemade pie and ice cream. They opened their home to us and gave us all a chance to relax and converse about all that we had seen so far. Regarding the homemade pie and ice cream…all I can say is YUM!! After lunch we all loaded into our cars and drove to Little Indian Lake Conservation area to view Ivan’s more than 49 Prothonatory Warbler nesting boxes. Very impressive indeed. While there, MOBS board member Jim Rathert spotted an Eastern Kingbird nest with one nestling almost ready to fledge. He flapped his wings several times, the nestling not Jim, but decided he just wasn’t ready to leave the nest. Both adults were close by. All in all it was a great day of birding so thanks again to Ivan and his family for their hospitality. Steve and Regina Garr of Jefferson City, Missouri were presented with the John and Nora Lane Award from NABS for outstanding work in the field of Bluebird Conservation. Longtime NABS member Ron Kingston received the award on their behalf in Jackson. Greg Beavers, NABS Treasurer, presented the award to the Garrs at the Missouri Bluebird Conference on October 1. Steve Garr has worked tirelessly since 1979 educating the public through his newspaper columns, magazine articles, television appearances, and personal appearances at various conferences and events on how to help the bluebird. 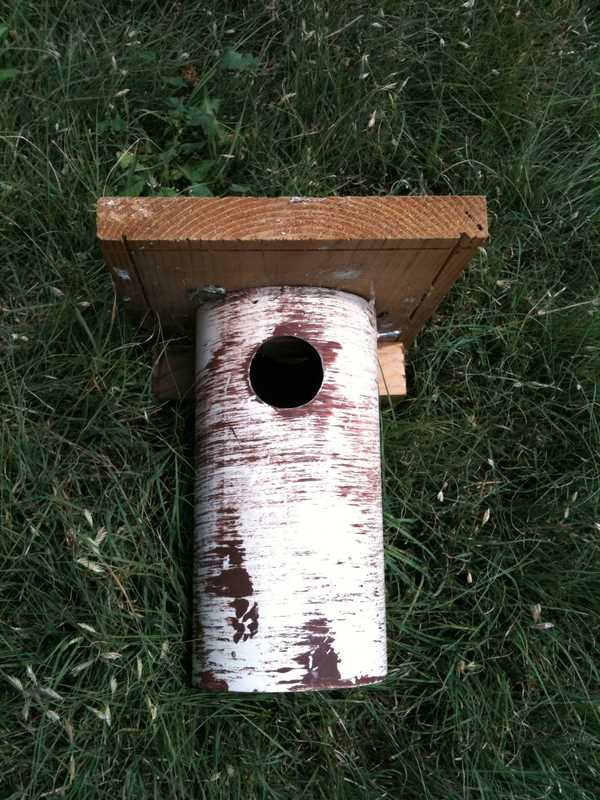 He personally erected and monitored many nestbox trails in both Tennessee and Missouri. He co-founded two NABS Affiliates: Tennessee Bluebird Trails (2000) and the Missouri Bluebird Society (2006). Besides doing field work, Steve volunteered for NABS by serving on the Board of Directors and as Vice President and President (2000–2006). Regina Garr has been an enthusiastic partner in all of his conservation work, helping spread the bluebird conservation message. Even though Steve has had a Life Membership in NABS for decades, he continues to support NABS with additional Corporate memberships. He and Regina have donated NABS memberships for door prizes at countless seminars on bluebird conservation — giving many people their start in an association with NABS and organized bluebird conservation. Steve and Regina Garr continue to promote bluebird conservation on all fronts: education, in the field, and in leadership roles in the organizations that promote bluebird conservation. The John and Nora Lane Award was created to honor Canadian conservationists John and Norah Lane, who were among the first people to sound the alarm about declining bluebird populations. The Lanes’ bluebird trail consisted of 4,750 nestboxes and stretched almost 2,500 miles. Reprint with permission from winter edition of NABS Bluebird. Photo by Jim Rathert. Some day, perhaps it will be this website, but for now my favorite site is www.sialis.org which is managed by Bet Zimmerman. This is the most complete and well organized site that I have found. I strongly suggest that you all check it out. The Missouri Bluebird Society is a 501(c) 3 not- for- profit organization dedicated to conservation of bluebirds and other native cavity nesting songbirds, and to educational projects that would be of benefit to these native birds. 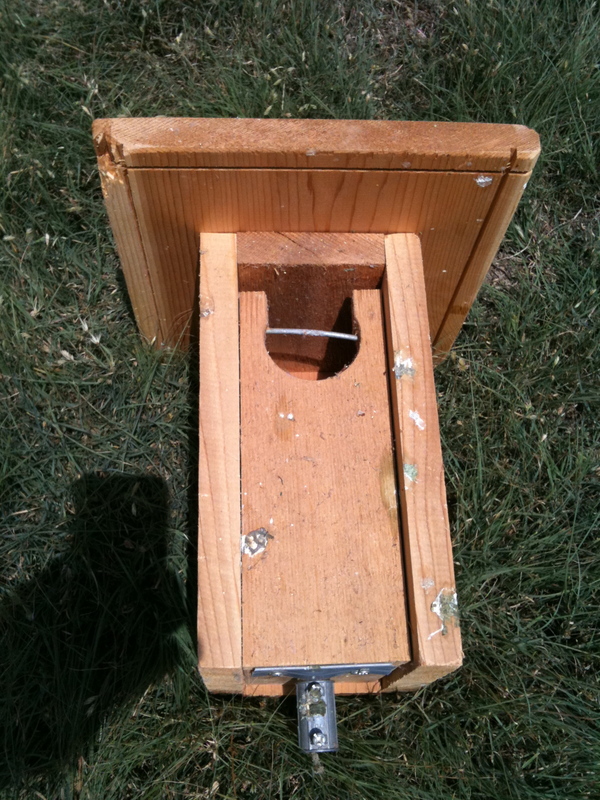 A limited number of nest boxes each year will be awarded to assist in projects that help promote the objective of the Missouri Bluebird Society (MOBS). 1. 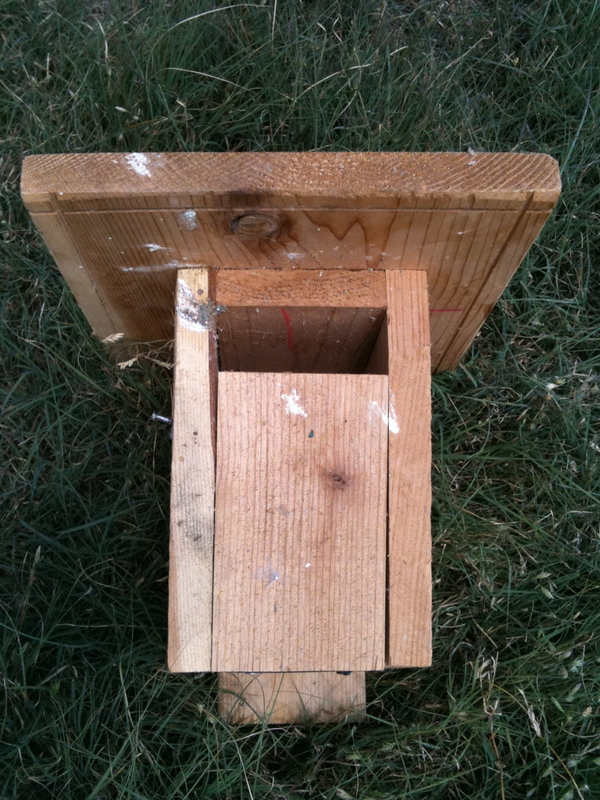 Applicant’s nest boxes must be constructed in a fashion and design recommended and approved by MOBS. 2. Trail Location must be approved by MOBS. 3. The applicant agrees to present a 15-30 minute program to their organization or another community organization about bluebirds and other native cavity –nesting birds and the need for monitored bluebird trails. MOBS will assist in providing materials for this presentation. inhabit and reproduce in the nest boxes. 5.The applicant agrees to turn in a completed MOBS nest box monitoring form each year after nesting season reporting nesting activity on the trail. Download the application for more information on the program.